Start off your visit on the 3rd (Fri): tour the pleasant surroundings at Burleigh Head National Park and then enjoy the sand and surf at Surfers Paradise Beach. To find traveler tips, other places to visit, more things to do, and tourist information, use the Gold Coast driving holiday planner. Sydney to Gold Coast is an approximately 3.5-hour flight. You can also do a combination of flight and train; or drive. 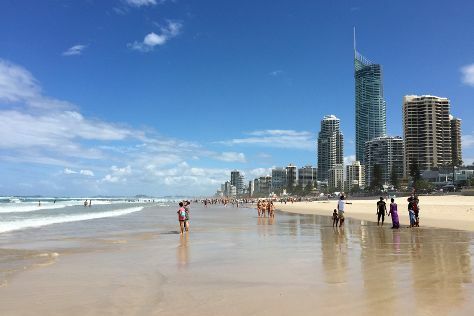 May in Gold Coast sees daily highs of 27°C and lows of 15°C at night. Finish your sightseeing early on the 3rd (Fri) to allow enough time to travel to Palm Cove. 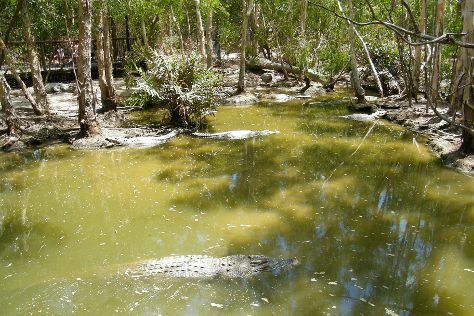 On the 4th (Sat), enjoy the sand and surf at Palm Cove Beach, then identify plant and animal life at Hartley's Crocodile Adventures, and then take in the exciting artwork at Village Gallery. Plan my Palm Cove trip by asking Inpirock to come up with tips and suggestions. Traveling by flight from Gold Coast to Palm Cove takes 5.5 hours. Alternatively, you can do a combination of train and flight; or drive. Plan for somewhat warmer temperatures traveling from Gold Coast in May, with highs in Palm Cove at 32°C and lows at 24°C. Cap off your sightseeing on the 4th (Sat) early enough to travel to Whitsunday Island. 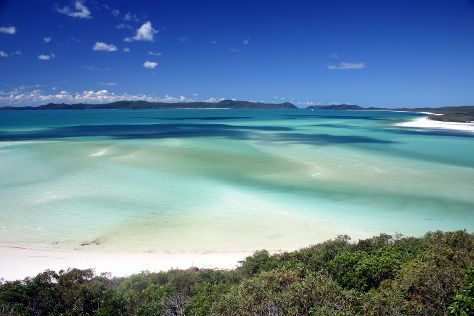 On the 5th (Sun), contemplate the waterfront views at Hill Inlet and then enjoy the sand and surf at Whitehaven Beach. Discover how to plan a Whitsunday Island trip in just a few steps with Inspirock's itinerary builder. You can fly from Palm Cove to Whitsunday Island in 3 hours. Other options are to do a combination of flight and bus; or take a train. Traveling from Palm Cove in May, plan for a bit cooler nights in Whitsunday Island, with lows around 19°C. Wrap up your sightseeing on the 5th (Sun) early enough to travel back home.